“Social media” is a term often used in conjunction with “millennials” and “memes.” The connotation surrounding it has largely been a juvenile one, from the time when college students posted goofy photos of their friends and wrote inside jokes on walls. But in the last five or six years, things have changed. Businesses began to see the potential of this medium, and today millions of companies are on social media, from the local grocery store to the manufacturer of your dog’s flea medication. But not all businesses post regularly. Lack of presence: You will not be seen if you do not provide something to see! Yes, we get it: it’s hard to self-promote (unless you’re a Kardashian). There is a knee-jerk reaction when someone suggests posting five or six times a week. “Isn’t that too much?” people ask. “Won’t my friends unfollow me if I spam their feed?” And while there is a balance between too much and too little (i.e. 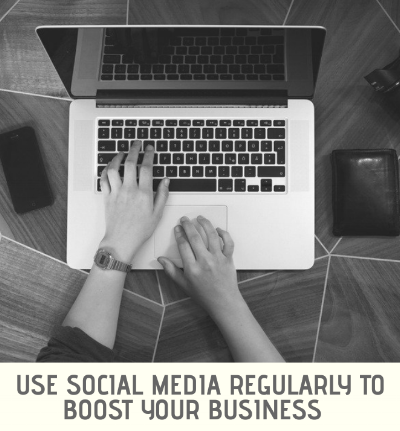 posting every hour will likely cost your business a few connections), posting once every workday keeps people engaged without clobbering them with a barrage of information. Not showing you’re active: Seeing your posts not only reminds your friends and work connections of your business, it lets people know you’re active in it. Was there an award you won recently? Have you been promoted from associate to partner? Let the world know! In the era of selfies and glamor-shots, narcissism runs high, and you might not want to publicly pat yourself on the back. But in the business world, clients want to work with those who are dynamic and growing, and it is your job to show them. Limiting new connections: Posting regularly opens the door for new connections. The more you post, the more chances you have to be shared, liked, and followed by potential clients outside your current reach. It is a matter of statistics – people cannot connect with content they do not see. Just remember to keep your subject matter relevant and professional. Avoid posting about politics and fluffy personal stuff. Your fellow colleagues do not care how many new tricks your kitten can do.